Architect Adam Trott debunks City Hall misinformation. 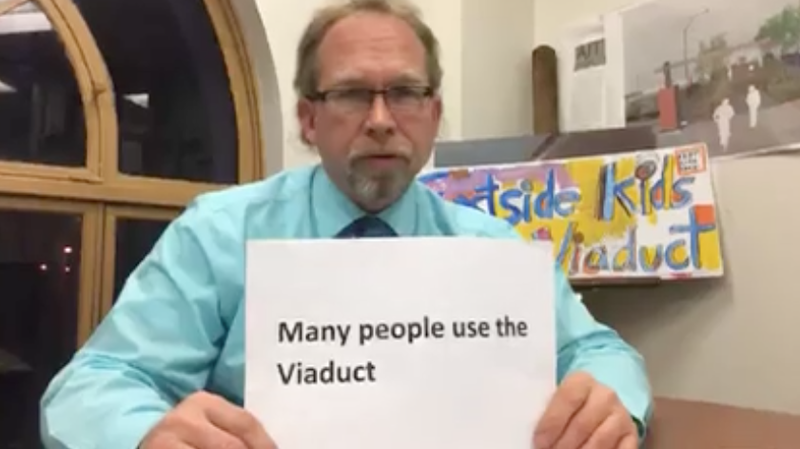 — Why Save the Viaduct? To Keep Kids Safe. Architect Adam Trott debunks City Hall misinformation. Architect Adam Trott in his studio, Monday, March 19, 2018. In this 3-minute Facebook Live video, Adam debunks the ongoing misinformation that City Hall - and the local paper - won't let go of despite advice from Charles Buki, the lead consultant of Erie Refocused, plus five national experts, many local leaders and hundreds of residents. Newer PostFor 3rd time, local paper dismisses New York Times story on issues of urban design, civil rights, social and environmental justice and Erie's McBride Viaduct. Older PostIs the Viaduct a Civil Rights issue?